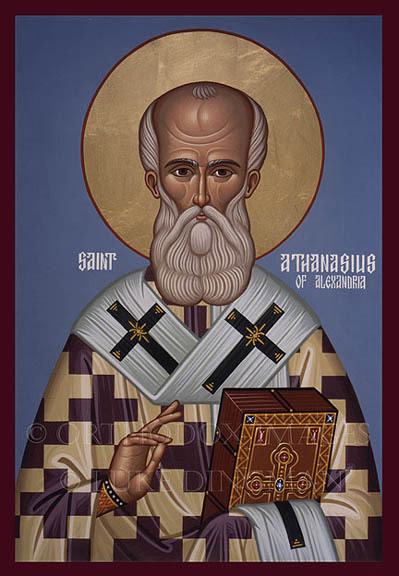 There does not seem to have been any distinctive everyday dress for Christian pastors up until the 6th century or so. Clergy simply wore what was common, yet muted, modest, and tasteful, in keeping with their office. In time, however, the dress of pastors remained rather conservative, as it is wont to do, while the dress of lay people changed more rapidly. The result was that the dress of Christian pastors became distinct from the laity and thus that clothing began to be invested (no pun intended) with meaning. Skipping ahead, due to the increasing acceptance of lay scholars in the new universities, the Fourth Lateran council (1215) mandated a distinctive dress for clergy so that they could be distinguished when about town. This attire became known as the vestis talaris or the cassock. Lay academics would wear an open front robe with a lirripium or hood. 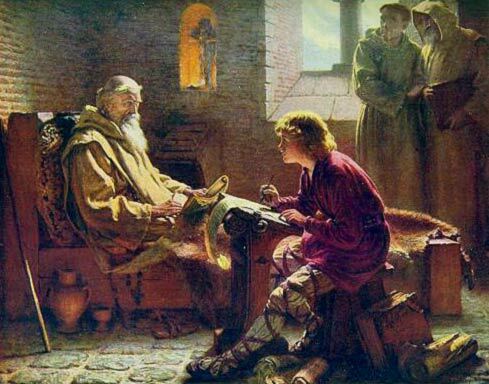 It is interesting to note that both modern day academic and clerical garb stems from the same Medieval origin. Councils of the Roman Catholic church after the time of the Reformation stipulated that the common everyday attire for priests should be the cassock. Up until the middle of the 20th century, this was the common street clothes attire for Roman Catholic priests. The origin of the clerical collar does not stem from the attire of Roman priests. Its genesis is of Protestant origin. In the time of the Reformation, many of the Reformed wanted to distance themselves from what was perceived as Roman clerical attire. Thus many of the clergy took up the attire of academics in their daily dress or wore no distinctive clothing whatsoever. Yet over time the desire for the clergy to wear a distinctive uniform returned to the Reformed churches. What they began to do, beginning in the 17th century as far as I can tell, is to begin to wear a neck scarf, called a cravat, tied around the neck to resemble a yoke. 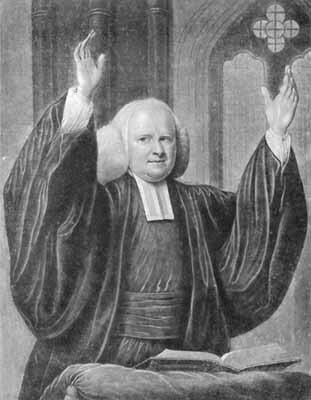 Thus common dignified attire was worn by the pastor, supplementing it with this clerical cravat. This style can be seen in many of our famous Reformed divines, one of the more famous of whom being Charles Hodge. 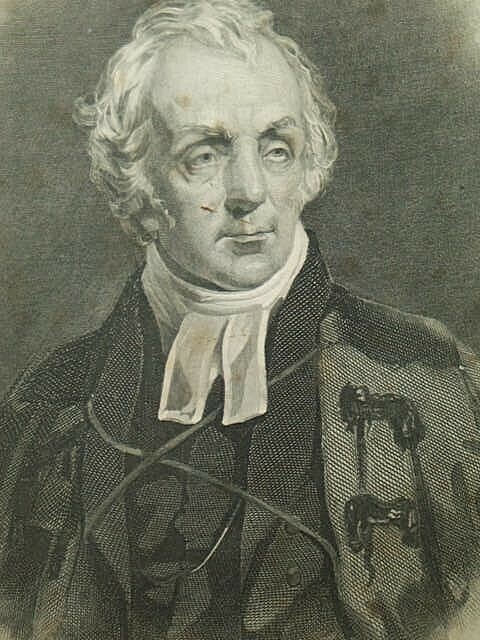 In the following picture we see more clearly the use of both the clerical cravat and the inserted preaching tabs by one Thomas Chalmers. Thomas Chalmers, 19th century. Notice both the cravat and tabs clearly visible. The reader will note that the men depicted here were of great eminence as Reformed pastors and theologians. They are all well known for their commitment to Reformed theology and biblical teaching and practice. These are not obscure men who sported clerical attire. One might ask whether this sort of attire was universal among the Reformed. The answer is, no. Upon perusing several portraits included in the Presbyterian Encyclopedia of 1880, published by Presbyterian Publishing Co. of Philadelphia, I found that there was diversity of clerical attire chosen by Presbyterian pastors of the 19th century. Some wore clerical cravats. Some wore what looks like a modern rabat with a collarette (a black vest which closes at the top with a bit of white collar revealed all around). Others wore bow ties or neck ties. The conclusion to be drawn is that in the Presbyterian tradition, there has been diversity of clerical dress without any type enforced over the other. Here we see several members of the 18th c. Church of Scotland (Presbyterian) having their hackles raised over some ostentatious clergymen wearing scarlet cloaks and cravats. Later they hold a Synod where they decide that they ought to wear black gowns and to make use of neck bands. This paragraph shows us two things: the wearing of cravats was considered to be distinctive clerical garb, and the synod of the kirk decided ultimately that modest use of neckbands was permitted. (There are many more such examples in 19th century sources which can easily be researched on Google Books. I invite the reader to see for himself.) 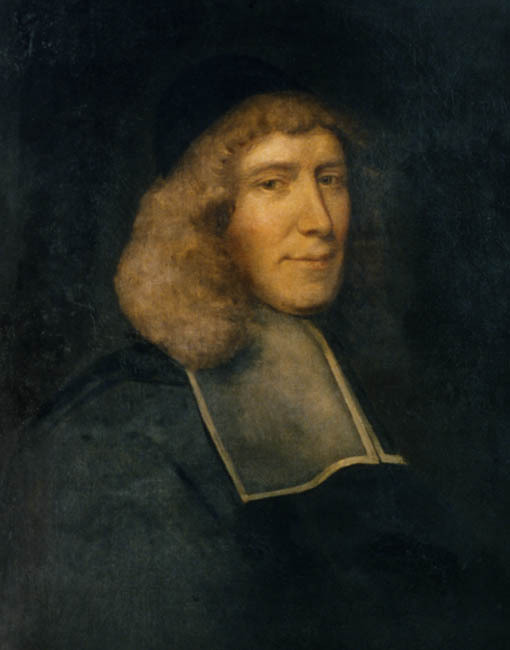 Thus when we see all manner of 17th-19th century Reformed pastors sporting preaching tabs, neck bands, and cravats, we should interpret them to be intentionally sporting distinctive clerical garb. We should also gather that the author of these annals, one Robert Chambers, included this anecdote in his work in order to promote the modest use of bands and clerical garb in his day. The last bit of history to cover regards the origin of the modern clerical collar. 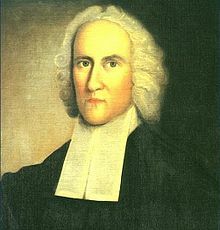 According to several sources, including one cited by the Banner of Truth website (no Romanizing group), the modern clerical collar was invented by a Presbyterian. In the mid 19th century heavily starched detachable collars were in great fashion. This can been seen up through the early part of the 20th century if one has watched any period television shows or movies. 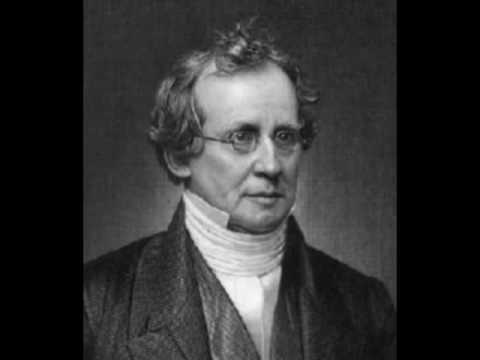 If we observe the collar worn by Charles Hodge we can see that at first these collars were not folded down as they are today, but left straight up. Charles Hodge revisited. Notice the upturned collar protruding from the top of the cravat. Yet two questions arise: how did the clerical collar then fall out of use among Presbyterians and how did it come to be so associated with Roman Catholic priests? The answer is that up until the mid 20th century the prescribed dress for all Roman Catholic priests was the cassock, a full length clerical gown. Yet during the 20th century it became custom for Roman Catholic priests to wear a black suit with a black shirt and clerical collar, which collar they appropriated from Protestant use. Owing to the large number of Roman Catholic priests in some areas, and due to the fact that some sort of everyday clerical dress was mandated for all priests at all times when outside their living quarters, the clerical collar became to be associated more with the Roman Catholic Church than with the Protestant churches. It stands to reason that once again a desire to create distance between the Reformed and Roman Catholics and the increasing desire throughout the 20th century for ministers to dress in more informal ways has led to the fact that barely any Reformed pastor wears any distinctive clerical dress these days, though plenty of examples show that our eminent forbearers desired to do so. Domestic Annals of Scotland, From the Revolution to the Rebellion of 1745, Robert Chambers, 1861, pp. 147-148.